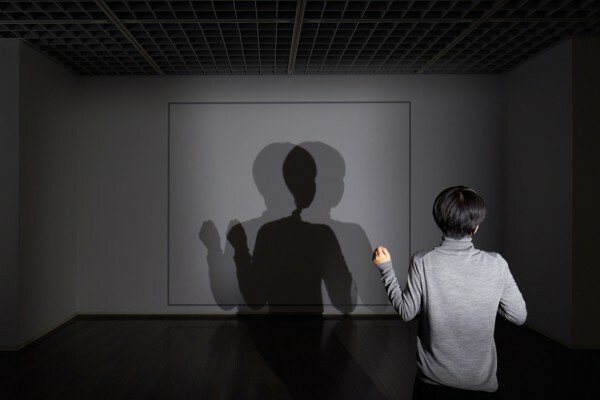 All photos on this page are copyrighted material and all rights are reserved. 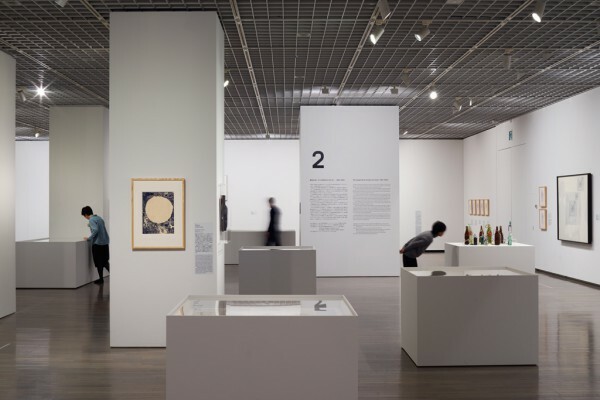 We designed the exhibition site for the Jiro Takamatsu (1936-1998) retrospective presented at the National Museum of Modern Art. 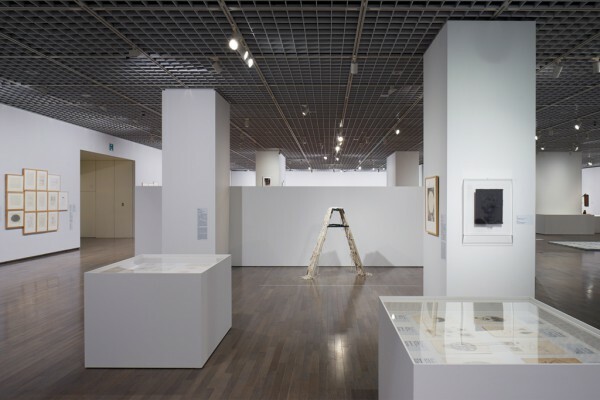 The exhibition was curated by Tomohiro Masuda, Mika Kuraya and Kenjiro Hosaka who oversaw the early, middle and latter chapters of Takamatsu’s work respectively. 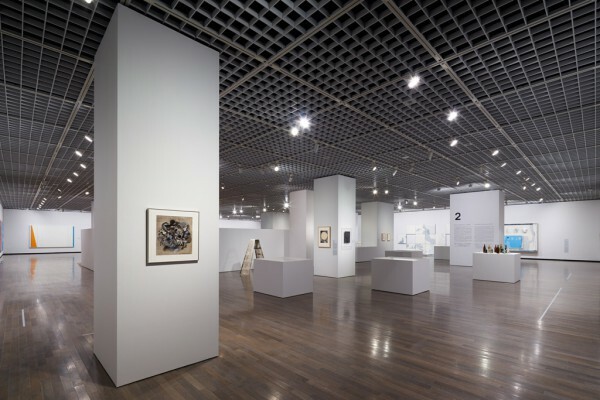 We were tasked with providing a lofty exhibition space where visitors could wander through his legacy like a public square while bringing out the common thread of his stylistically heterogeneous body of work. 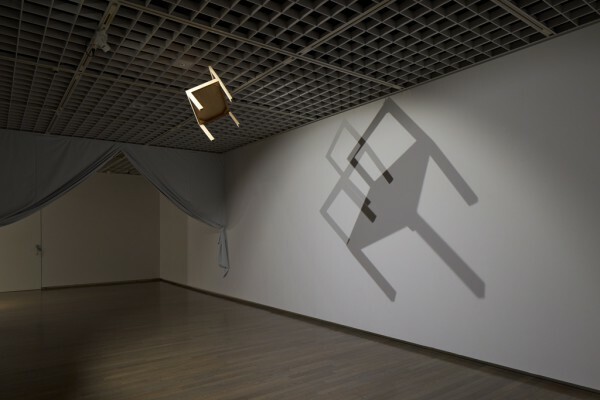 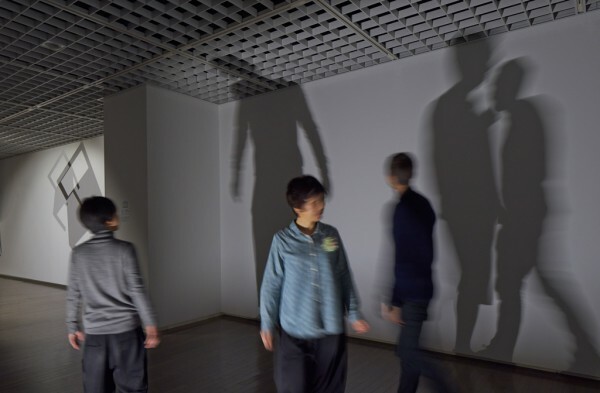 The exhibition opens with the “shadow laboratory”, a long and narrow interactive installation where highlights from the middle period, such as overlapping shadows cast by different sources of light or the silhouette of a spinning chair, are presented in four themes. 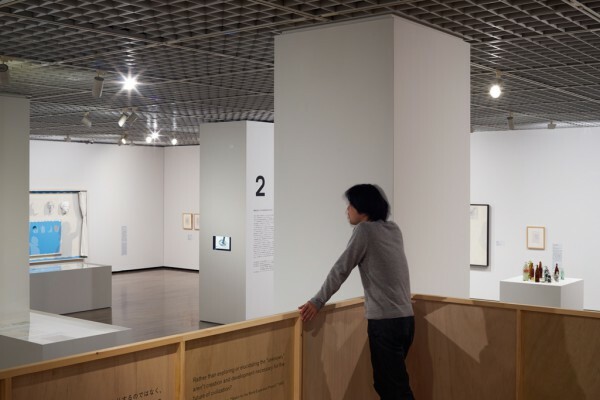 This area leads to the main exhibition space where can be found six columns of varying girth, which are volumes intended to give form to the scenery while downplaying their presence as structural elements. 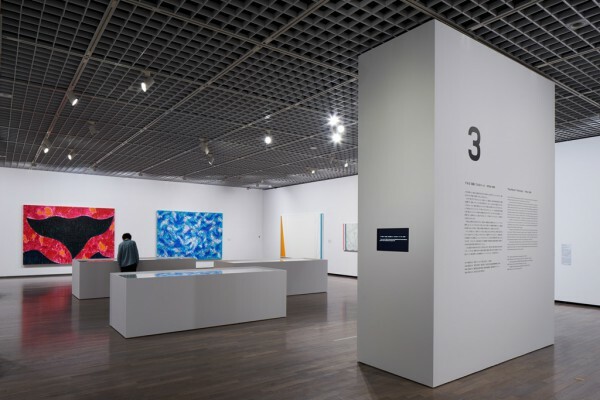 Moreover, our design calls for five pseudo-columns with the same girth in their vicinity to be used as furniture for the exhibition and further divert attention from the existing columns. 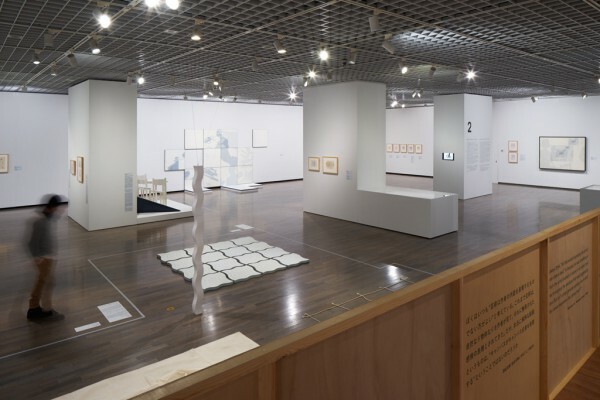 Adequate separation within each section was achieved by populating the venue with these white volumes of various sizes to screen off adjacent areas. 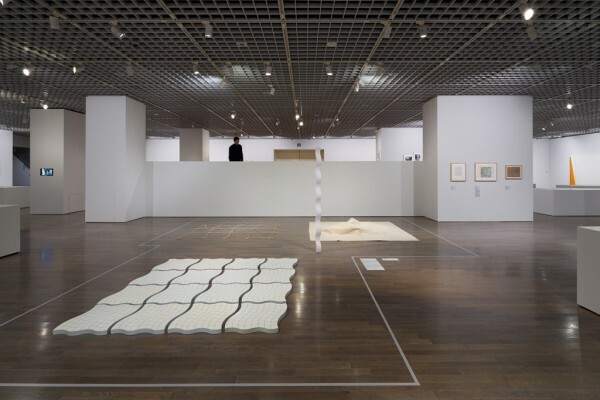 Finally, visitors reach the last section where a “stage” is hidden behind the central volume located at the center of the venue, and which is visible from the first area. 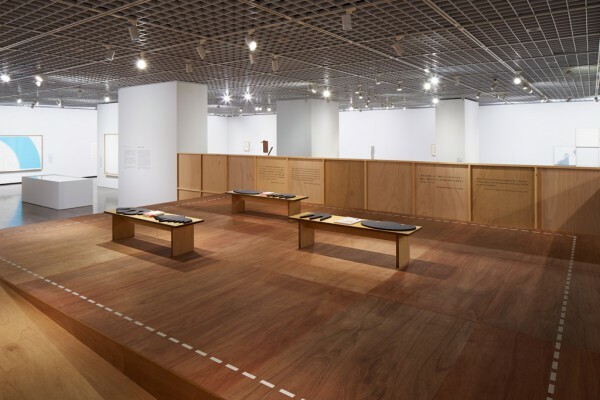 This stage reveals wooden accents reminiscent of Takamatsu’s studio while offering a vantage point from which all the works seen hitherto can be taken in at a glance. 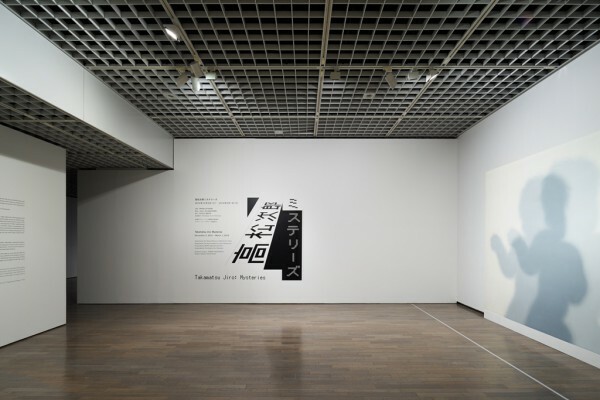 Furthermore, quotes from the artist placed on the half-wall help bring into focus the recurring themes of his diverse works. 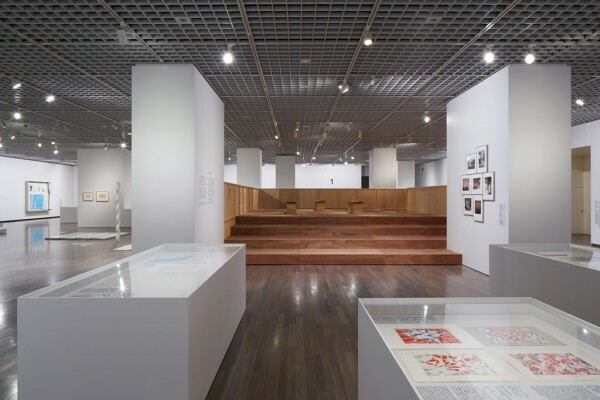 The top of the stage is intended as a resting area where visitors can browse through illustrated books while sitting on cushions reproducing designs found in sketches from the latter part of his career. 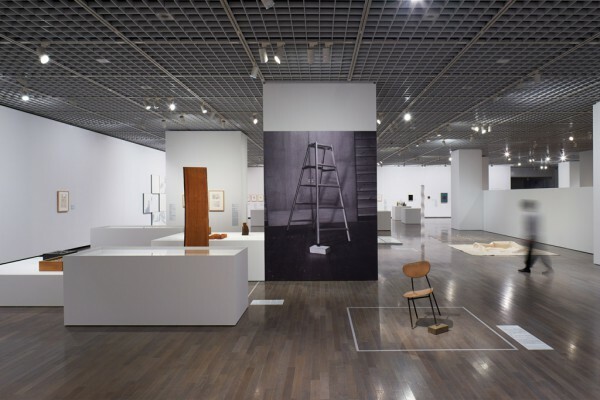 The size of the stage symbolically echoes Takamatsu’s sphere of creation since its dimensions match that of the studio where he worked during his active period. 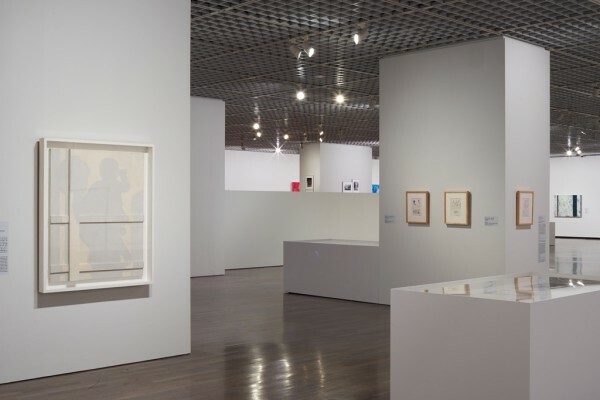 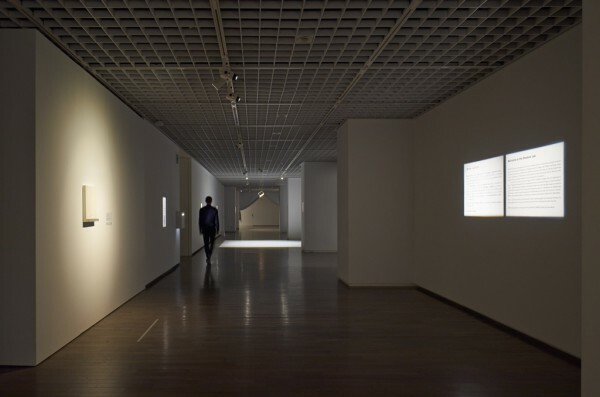 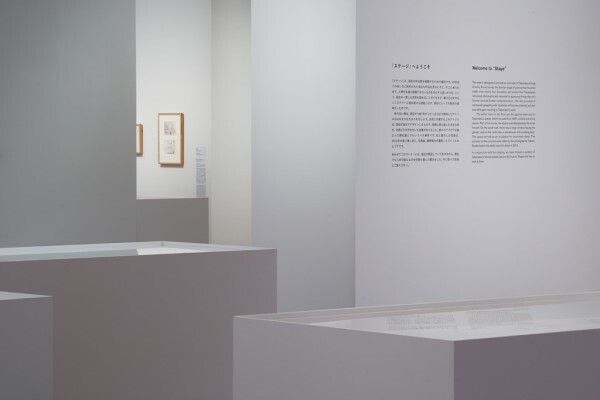 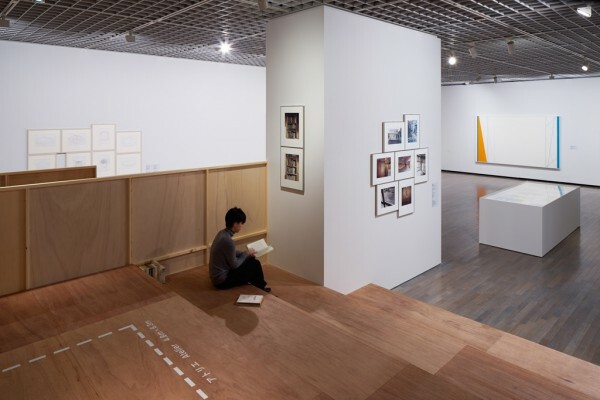 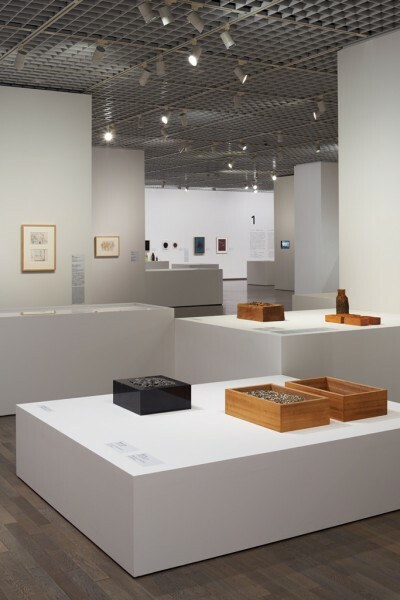 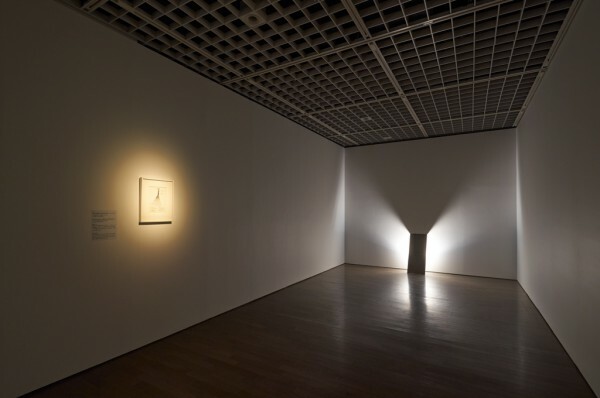 Through this exhibition made up of approximately 200 works of art, we sought to create a space where visitors could experience for themselves Takamatsu’s vast philosophical world as they solve the mysteries contained in his work.